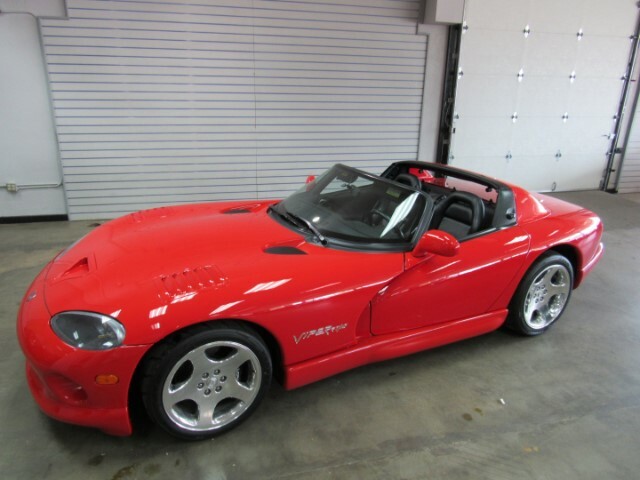 Used 2000 Dodge Viper RT/10 for Sale in Denver CO 80220 Weisco Motorcars, LTD.
2000 Dodge Viper RT/10 with ONLY 33k miles done in Red over Black leather. This Viper has both Hard & soft tops and chrome wheels with NEW tires. The outside of this Viper is in very nice shape with not one chip in the paint and has been in a private car collection for the past 9 years and looks like the day it left the showroom. The inside is also in very nice shape with Black leather seat, Alpine CD player and keyless entry plus has not been smoked in. You will have to look a long time to find a nicer 2000 Dodge Viper RT/10. Call Weisco Motorcars for more info or to set up a time to stop by for a test drive. Message: Thought you might be interested in this 2000 Dodge Viper.